Can removing a food group be safe? 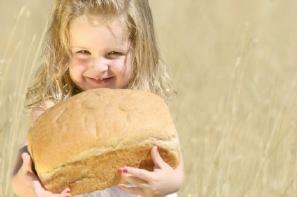 Parents are asking, "Is it safe for children to be on gluten free diets?" A gluten free diet removes much of the grain-based products from a person's diet. If that person suffers from gluten intolerance, doing this could improve their health significantly. However, some parents wonder if removing a whole food group is safe to do for their child. The biggest question that needs to be answered before considering a gluten free diet is about the child. Does the child have gluten intolerance or sensitivities? If you think that may be the case, check the symptoms of celiac disease, a condition which is linked the ingestions of gluten. If you believe your child does have a reaction to gluten, it is important to consult your family doctor before you try to self-diagnose through methods such as a gluten elimination diet. It is better to visit the doctor so he can test for gluten sensitivity formally to ensure no other conditions could be causing similar symptoms. He may even place your child on an elimination diet as part of the testing. By removing these foods from your child's diet, their body can begin to repair damage caused by celiac disease. This takes time, and it still leaves some parents wondering, "Is it safe to remove all grains from their diet?" After all, grains are an important building block to overall health. The fact is, that just because grains containing gluten must be eliminated, does not mean all grains must be eliminated, and for children with celiac disease, if gluten is consumed it can lead to irreparable damage to the small intestine. Such damage may lead to malabsorption problems and other related complications. For these children it is definitely safer to eliminate gluten than to continue eating it. Learning to eat gluten free is a process. You still want to provide a balanced diet to avoid other health concerns including a lack of fiber. What is important is to ensure your child does not become anemic or have low blood calcium levels, poor bone health or other diseases that come from a lack of these nutrients. Work with your doctor to develop a diet that provides all necessary nutrients. Taking supplements can also be helpful. Also, keep in mind there are healthy grain products available for people to eat that are gluten free and that a gluten free diet still contains grains for most people. For those who are wondering, "Is it safe for children to be on gluten free diets?" and their children don't have a gluten allergy, the answer could still be yes. A balanced gluten free diet contains nutrition not commonly found in most western diets otherwise. Is it safe? The answer is yes, but for those who don't suffer with gluten intolerance, there is no real benefit to eating gluten free. However, it does make life easier, if you have one child with gluten intolerance, to be able to prepare meals the entire family can eat.Although there is much research to be done, doctors believe most people have no reaction to eating foods with gluten. It is also known that gluten itself does not cause autism, though if the child has autism and gluten intolerance, this can complicate the child's health. If you wish to put your non-gluten sensitive child on a gluten free diet, talk to a dietician or your family doctor first, and ask yourself if you're ready for the extra work required for making or buying gluten free baked goods. Follow your health care providers guidelines, if you do remove gluten from your child's diet, and provide your child with the doctor's recommended supplementation.